This is a mode of life exhibited by some fungi and bacteria in which their energy giving and body building requirements are derived from the products of , or the dead remains of , other organisms. Before such remains can be absorbed by the saprophyte, they must be rendered soluble, and the saprophyte is thus often instrumental in initiating the conversion. Therefore it must live in or on the organic material. The conversion process from the complex organic condition to the more simple diffusible condition is generally known as putrefaction or decay. It is a digestive process. Saprophytes are therefore of paramount importance in nature in maintaining the circulation of materials throughout the living world, since by their putrefactive activity they eventually release into the inorganic environment all the materials taken from it by other living things. They may also be of some economic importance to man in two ways. They may have deleterious effects by causing deterioration in many of his carefully harvested food reserves. On the other hand, they may be put to useful service in synthesizing complex substances valuable to the human race, e.g., organic acids of many kinds, alcohol, vitamins and antibiotics. 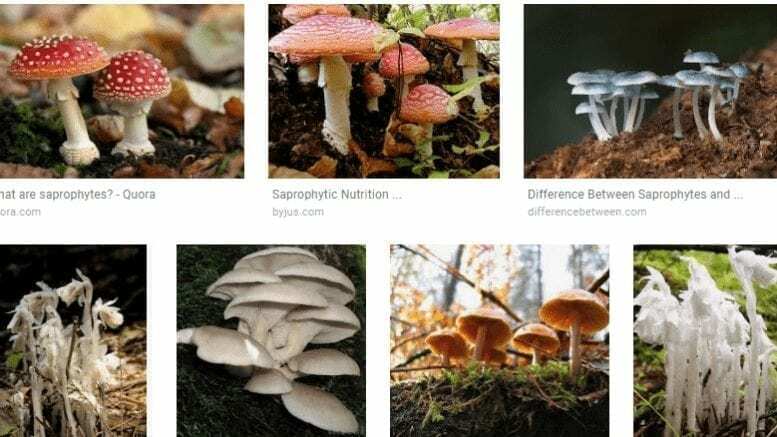 The saprophytes must obviously have originated from free – living organisms somewhere along the evolutionary line but connexions are nowhere clear. 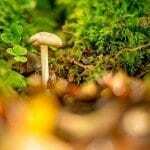 This is due to the fact that the fungi and bacteria are difficult to drive from any known living things. Some would derive the fungi from the filamentous green and red algae on grounds of structure and reproductive processes and thus would indicate that the saprophytic mode of life is a corollary of the loss of photosynthetic pigments. Others would find the origin of the fungi among the more lowly protozoan animals, in which case the structural and reproductive likenesses to the algae are merely examples of parallel evolution, and the heterotrophic condition inherited. 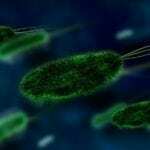 In the past the bacteria have been considered as simple or degenerate fungi. One interpretation tends to separate them from all other classes of living things and to regard them as a third kingdom. In this case, they cannot be linked with any other extant living organisms. 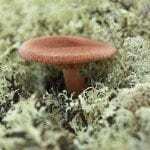 The major common characteristics of all saprophytes is a physiological one. 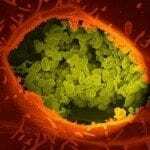 They are able to produce and exude the enzymes by which they render their substrate solute and diffusible. This is of course a characteristic of many parasites as well, but the distinction between the two with regard to the nature of the substrate has already been drawn. Structurally also, the two groups saprophytes have each their common characteristics. The fungi are nearly all of microscopic filamentous nature and well adapted to permeating a suitable substrate and coming into the necessary intimate contact with it. The yeasts and bacteria are still more minute, unicellular structures, which can also make the most intimate of contacts with organic substrates. The filamentous fungi appear to have the advantage over the bacteria in many cases in that they can radiate more successfully from an initial starting point. They can survive longer by growing away from any toxic products which they can radiate more successfully from an initial starting point. they can survive longer by growing away from any toxic products which they may produce as a result of their putrefying activity. 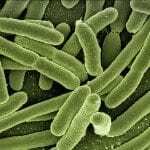 Bacteria often achieve their own destruction by producing in very high concentration, toxic substances from which they are unable to escape. Motility in water is a feature of many bacteria and some fungal reproductive bodies (zoospores) and many of these shows a high degree of ability to make chemotactic responses. In this way, suitable new substrates are quickly found and unsuitable ones avoided. Fungal hyphae are capable of making chemotropic responses to serve the same ends. In reproductive capacity, the bacteria are unrivaled but most fungi are likewise able to produce enormous numbers of reproductive cells. This is essential to the mode of living if new substrates are to be exploited and the race to continue. Bacterial and fungal spores are among the most highly resistant of all living structures and are small enough and light enough to be disseminated over prodigious areas by almost every known agency. Some biologists would include among the saprophytes a few higher plant genera such as Monotropa and Neottia which enter into associations with saprophytic fungi. It is true that such higher plants, lacking chlorophyll, can only survive if sufficient organic matter is available. This they obtain through the agency of a fungus and not by their own putrefying activities. Such cases are, therefore, best considered as symbiotic mycorrhizal relationships. Be the first to comment on "Saprophytism and the Characteristics of Saprophytes"